Thanksgiving in Moab is heaven! We pulled up here on Weds evening for the holiday and we got our own space with plenty of personal space between us and other campers. It was cold at night (-2) but we stayed nice and warm with extra blankets and with all the slick rock and trail riding we did during the day we were so work out we didn't even notice. You can see Arches NP from this road so it was a great way to wake up every morning with the sunrise creeping up over the Red Rock. It is dispersed camping so there are occasionally port-o-potties but no trash pick up. We did our part cleaning up other people's trash that was left out as well as other campers wandering around cleaning up the place. Because of this, it was a beautiful spot to spend the extended weekend. Drove from Denver to this campground to camp in my car solo and explore all Moab had to offer. Felt safe the whole time, made friends with other campers nearby. Trailhead was dirt and bumpy in some places, did fine in my 02 Outback. Close to a gas station that had a bathroom. Will be back when I get the chance to visit Moab again! Went May 2018. 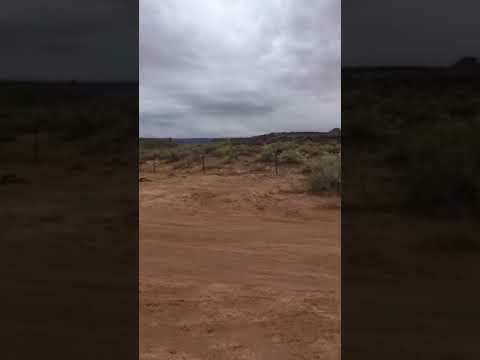 So this is BLM land and you can stay 14 days. I recommend coming in durning the day cause it’s confusing at night. But it’s pretty much like 2 miles of this dirt road right of the main road that has TONS of Dispersed Camping. I mean tons! As long as you stay within the fenced in areas, you’re good to camp. Rvs, trucks, cars, and tents as all set up in here. And it’s surprisingly quiet for the amount of people camped out. Despite the numbers, there’s plenty of space for everyone. Can’t go wrong with this spot! There’s also porter potties placed about every half mile between sites and there’s a pit toilet at the front of the road. It’s a little bumpy when you pull into some of the camp spots off the main dirt road, but my two wheel drive Saturn could handle it so it’s not bad. There’s fire rings places throughout. No water. Would stay here again any time I visit Moab. Just 11 miles north of town and a quick drive at that. Campground Review: I stayed one night at the Willow Springs Road Dispersed Camping North of Moab, UT. This was awesome camping. I am only giving it four stars because I was not in the right mindset for this type of camping at the time. This is dispersed camping so park and set up camp were you see a fire ring and be sure to follow Leave No Trace principles. Pack out whatever you pack in. Because it is FREE people need to follow these guidelines to keep it that way. Overall it was pretty free of trash but not totally. This camping area has no amenities—no water, no trash, no toiles, no tables, no metal fire rings. There are a few port-a-potties scattered around but don’t rely on one being close to you. With that, be careful where you walk as not to bust the crust as you find a spot to dig a hole. Finally, the only other negative was there was a lot of gnats/baby flies around in the morning when I was packing up. Not a super big deal but they were annoying. 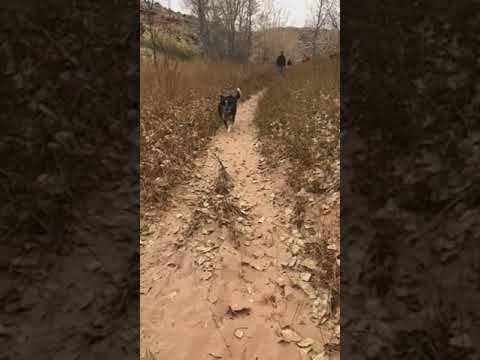 What I really like about the camping, besides the free price, is its proximity to all the activities that Moab has to offer and the scenery was beautiful. It is open and more exposed camping, but the sunset over the hills can’t be beat and you can find trees/protection if you get there early enough. 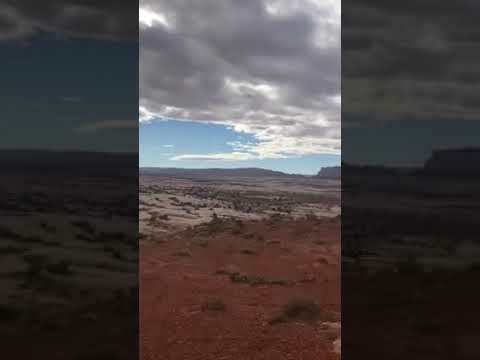 You are about 20 minutes from town, closer to Arches and Canyonlands. 5 minutes from the Klonzo and Bar M mountain bike trails and 10 minutes from two other large mountain bike trail systems (Klondike, Horsethief). There are also Jeep trail entrances and awesome rock climbing (Wall Street) before you hit town. It can get pretty crowded but I never felt that my neighbors were right on top of me. Overall, you can’t beat free camping in Moab and this is a great option. I will definitely be camping here again. As a Ranger of The Dyrt, I was given the privilege of testing some gear This gear review is for some Lily Trotters compression socks. Note that this gear review is for usage not just at the Willow Springs Trail campsites but during a month long backpacking trip, daily city wear, mountain biking. I have the Sassy Bow in Black in size L/XL as well as the Dots-A-Plenty in Grey and S'Mitten in Purple in S/M. According to size charts I could fit either size (my calf measurement was for L and everything else was for the S). I wore the larger pair on my month long backpacking trip to allow for the additional swelling but I wear the smaller pairs for everyday and either for general hiking and mountain biking. First off let me say, they are really comfortable socks in general. They stayed up on my legs and never felt too loose or too tight. The compression also kept my feet from swelling as much as they normally would have had I been wearing normal hiking socks. I also really liked that they were feminine without being too girly--an aesthetic I appreciate in today's women's gear products. Because I had these socks with me for the whole the whole month, I decided to try them in a variety of different situations: I wore them with 1) sock liners in hiking boots 2) solo in hiking boots, 3) with liners in trail runners, 4) solo in trail runners. I didn't get to try them as liners themselves because my feet would have gotten way too hot! Short story with all my experiments is that once the sock was in place (i.e. no wrinkles and any bandages were smooth) they kept my feet contained and prevented them from swelling too much which allowed for my shoes to stay roomy and comfortable. The only time I wasn't too happy is when I wore them solo with trail runners in soft dirt as the dirt went through the shoe mesh and stayed in the sock making my feet super dirty (this also happened when I was wearing traditional hiking socks). General observations: These are not padded socks. They have a reinforced heel which is great especially if your heel moves in your shoes or you have bandages from blisters you have a little more protection. I did wear a hole in one pair while backpacking but the company was awesome when I contacted them and they replaced it with no issues. With the lack of padding and the large number of miles I was doing every day, my feet were tired and sore at the end of days wearing them due to the heavy impact. This fatigue was lessened when I switched to trail runners but it didn't go away completely. (I switched to trail runners about 2 weeks into the trip so still in the process of adapting to through hiking.) These were also really easy to care for. They dried quickly if I got them wet and were easy to beat the dirt out of. Weight wise, they matched some of my wool hiking socks so I didn't mind having them in my pack. Finally, these socks do not guard against mosquito bites. I got quite a few through the sock material. I also wore these socks on an 18 mile mountain bike excursion and they made my legs feel great. I had the energy to go longer and I didn't feel too sore that evening or the next day and I think the socks were part of that. They even protected against scrapes against low bushes. All in all, these were great socks and I would definitely recommend them for everyday around town or perhaps day hiking. When I do another longer backpacking trip, I will probably bring another pair with me because they are awesome but I would be more selective in the days I wear them. Open desert, coyotes, cool nights. You can't beat it. There is no water, toilets, etc. You must bring everything, and LEAVE NO TRACE! Only pull off where a spot is already established. The road is good for 2WD cars, although dusty and washboarded in spots. Don't pay to stay in Moab! This was our first stab at a site like this and it was amazing. Very close to Arches and Moab and the scenery is great. The road in is a little rough, but there were cars that did it though I wouldn't recommend it (especially after rain). There are plenty of spots around, but some are better than others for shelter from the wind. We camped near a hill and it sheltered us quite well. We dry camped in our truck, but there were people tent and rv camping as well. We didn't have a campfire but people around us did. What more can you ask from a campground, especially a free one?! I would definitely stay here again!